I made reservations while the temperature outside was below freezing. Did I really want to bundle up, drive 20 miles, and see a show I knew nothing about? Never seen before? I hear it won a Tony but still . 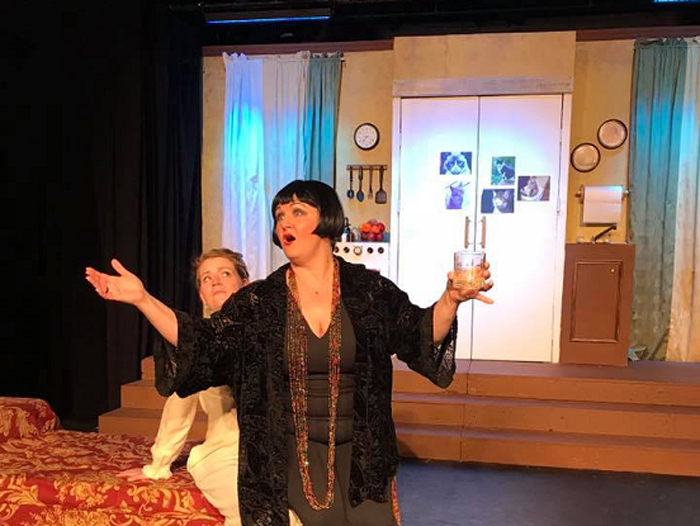 . .
I’m referring to The Drowsy Chaperone, the production currently running at Center on the Square in Searcy, Arkansas. Is it a musical? I enjoyed several delightful songs. Is is a comedy? In Facebook speak you might say I LOL’d. I learned that some of my favorite actors and a talented director are doing this show. My decision to go was a no-brainer. Last Friday: opening night with an elegant reception before curtain. That was just the first treat the audience was in for. What a great cast was assembled for this not-very-familiar play! Cassie Bennett and Josh Strickland showed the range of their talent moving from an irate Juror (Twelve Angry Women) and stern Dr. Cravens (The Secret Garden) to a flitty Kitty and an awesome Aldolpho. Ellen Jones and Lauren Lawson had opportunities to exhibit their exceptional voices. And no one plays a spacey lady like Sally Paine. Archie-winning director, Carla Fuller, has the ability to take a myriad of pieces and weave them into a fabulous production. Add the multi-talented Jon Bucher as The Man in the Chair (Narrator) and you have magic. Jon Bucher — Magic. Get it? You have only 5 more chances to see this show! Don’ miss having your heart lifted out of the winter doldrums by this delightful play. For dates, times, tickets, visit http://www.centeronthesquare.org. Thanks to Carla Fuller for the above picture. Since reading my friend Talya Boerner’s blog (Grace Grits and Gardening), I have thought: Rather than writing resolutions or goals for the new year, I might try choosing only one word for 2018. 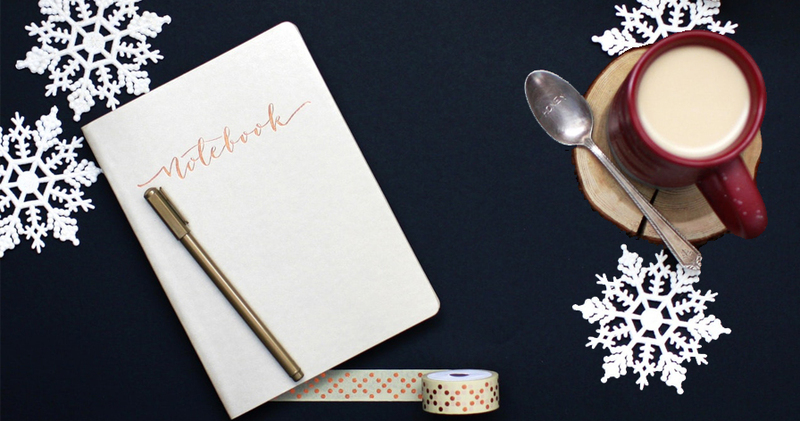 According to Talya, the One Little Word concept is the brainchild of blogger Ali Edwards. The idea is to choose a single word to focus on throughout the year. Choosing one word is in no way easier than writing resolutions. It turned out rather difficult for me, but finally I decided my one word should be EXERCISE. • I certainly need to exercise my aging body. After battling sciatica and Piriformis Syndrome for most of 2017, I realize I must stretch and work out the stiffness each day if I am to maintain strength and balance. • I must exercise focus to complete my novel-in-progress. For various reasons there are still gaps in the arc. • I will exercise compassion for those who are less fortunate than I. • I know I should exercise courage to stand up and speak up for what is right. • I should exercise discretion about what I ‘like’ on facebook and what links I’m tricked into following. • I’ll try to exercise patience with those who offend me, or who do not agree with my opinion. Okay, that last one was facetious. But if I am able to incorporate all this exercise into my life in 2018, next December surely I will find myself more fit — physically, emotionally, and spiritually. A single word for my dear readers: Blessings. When we’re together, my BFF Pat and I love to visit flea markets and seldom leave one empty-handed. On each of these visits, in a semi-joking manner, we peruse the book shelves to see if either of us has a title there. Could one of our inspired, gripping, nurtured, tweaked-to-death labors of love possibly end up in a used book sale? I didn’t know what I would do if I ever found a book of mine. 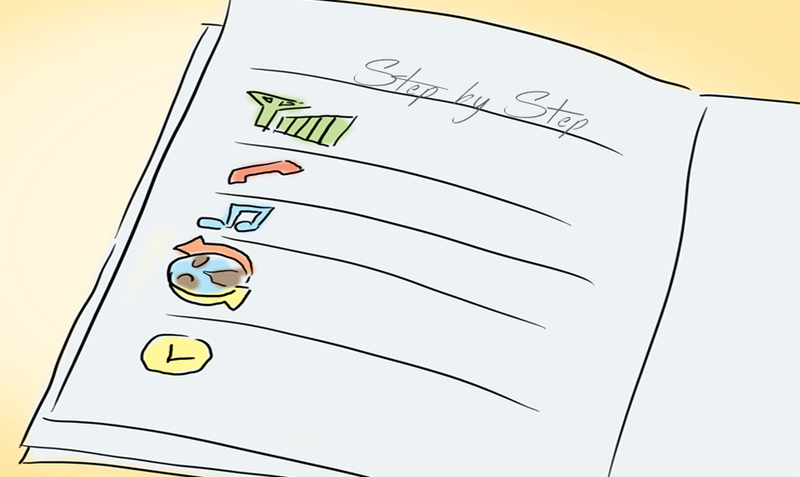 I knew it would be a new step in my writing career — whether up or down, I wasn’t sure. Should I be downcast that someone was so over my book they included it in their castaways? Or should I be glad that, rather than molding in a box in an attic, my writing would now have a chance to find a new audience? Last Saturday, it happened. The United Methodist Women of my home church, held their annual flea market/bake sale/soup luncheon/bazaar. I was looking though the more than 50 books that were donated to the rummage sale (of course I was!). And there it was. 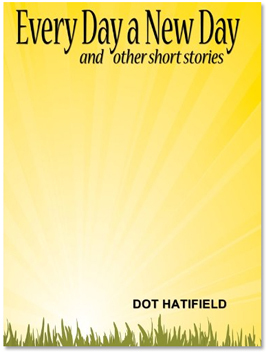 Every Day a New Day and other short stories by Dot Hatfield. 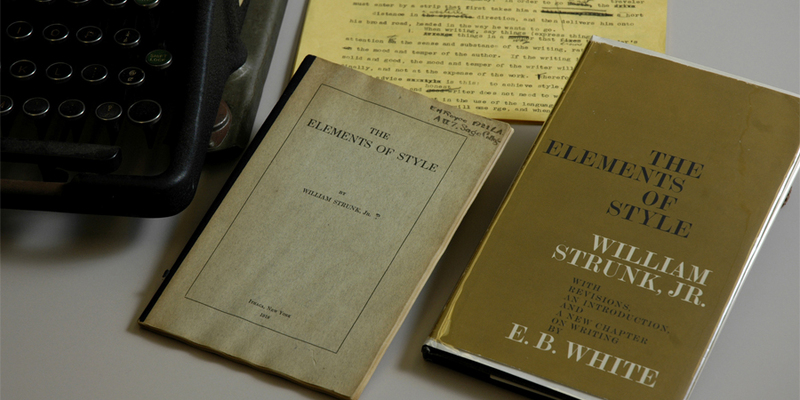 A collection of award-winning submissions published in 2006. I decided to feel good about it. It meant that new eyes would be reading these stories written 15-20 years ago. I’m satisfied with this new step in my writing career. I was intrigued by that headline. I wanted to know exactly how many masks the woman was wearing when she was attacked and why. Yes, I catch dangling participles when I see them in print. My English teacher back in the Fifties used the example: “Hanging on the line, I saw my father’s shirt.” The modifying phrase (hanging on the line) contains a participle (hanging). It is said to be dangling because the subject of the sentence (I) is not what the phrase is modifying. “I” am not hanging on the line. That would be the shirt. Dangling participles are not the worst grammar gaffe, just the funniest. Recently, I thought I had caught a gaffe when I saw this headline: “Man Shot in (small town) for Third Time This Year.” But when I read the story I found that the same man was actually shot three separate times this year (in a small town in Arkansas). All I can say to that is, Bless his Heart. Last week was delightful, some days speeding past quickly, others blissfully slow, allowing me to savor the moments. Phillip (#2 son) came home for his first vacation in over a year. I expected him to drop his luggage and reappear only to change clothes or sleep a little. But that was not the case. He actually hung out with me. One evening as we sat in the living room, him playing a game with someone on the internet and me working on a puzzle book, I got a little teary. We spent many evenings like this before his job moved him 2,000 miles away. I took a day off and we went to a movie. We carefully (eenie, meenie, miney, mo) chose from the 8 titles available at Cabot Silver Screen. Our only stipulations: no Legos or weird stuff (me), and no chick movies (him). So, “Flatliners” (which actually turned out to be a little weird). At 4:30 p.m. we had the theater to ourselves. This movie, a remake of the 1990 film, will not be on the list of AARP’s Movies for Grownups. In fact, halfway through Phillip leaned over and whispered, “This is a teen-ager movie,” (he’s 28). It had all the startle-effects … kinda like watching the spider on facebook jump out at you for two hours. If you like that sort of thing. Suddenly it was Sunday afternoon and we were on our way to the airport. It had been a good week. 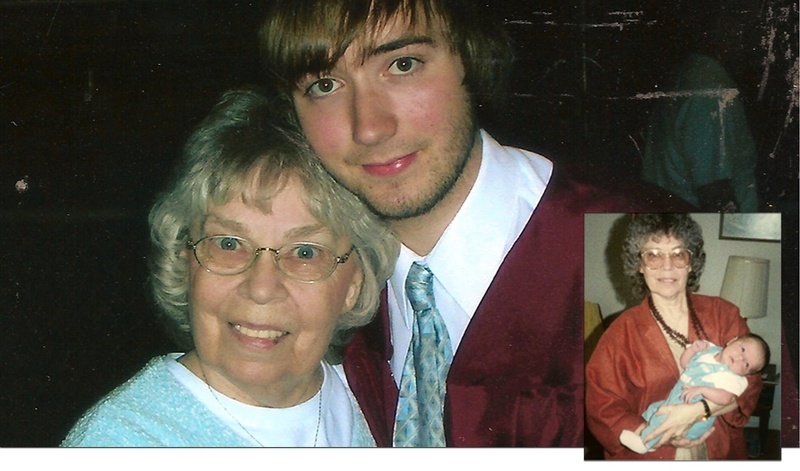 He visited his 6th grade Sunday School teacher, had Sunday lunch with his Aunt Betty a couple of times, and spent time with his high school buddies. He replaced my windshield wipers. We ate out at all his favorite places: Kandela’s, the Grill, Roper’s, and Tropical Smoothie. He introduced me to “Luther” on Netflix. Some things we didn’t get done . . . I hadn’t cooked much. I didn’t make his favorite sausage and egg casserole . . . or macaroni and cheese. At the gate for Southwest Airlines we hugged and kissed goodbye. I haven’t talked about Customer Service in a while — and don’t plan to say much today — except: Have you noticed how people avoid calling Customer Service until all else has failed? Do you think that was the plan? Folks don’t really want to deal with a C.S. representative who, A. seldom has the knowledge or authority to solve your problem and, B. lives in another country where English is not even the second language. Many people would rather have an instruction book, figure it out themselves with trial and error, or look on You tube. This is a bit of a problem because most merchandise bought nowadays comes with no instruction book. No help at all except maybe a web address on the packing slip. And it seems to me that the larger and more expensive the item is, the fewer instructions you receive on how to make it work. A copy machine for your office, a new computer, the smartest phone in the world? No instruction book. You must log into howdoesthisthingwork.com. Or call customer service. All this is true. Yet my $10 curling iron came with a little pamphlet telling how to wind my hair around the wand. Actually that was rather helpful. The printing on the bottle of hand soap I bought at Dollar Tree: 1. Wet hands 2. Put small amount of soap in palm. 3. Lather thoroughly and rinse. There you go. Instructions on how to wash my hands. But if I want the copy machine to collate and staple, I’m on my own. In my formative years, summer officially lasted from Memorial Day to Labor Day. So I began the season on May 30 by fasting and visiting my doctor’s office so a nurse could draw blood. In June, I took a trip to Branson, July was spent in rehearsals, 3 previews and 7 performances of “The Secret Garden” at Center on the Square theater in Searcy. Summer ended Labor Day weekend at the annual White County Creative Writers Conference. The trip to Branson was to meet up with some of my kids, grandkids, and great-grands who were spending time there. 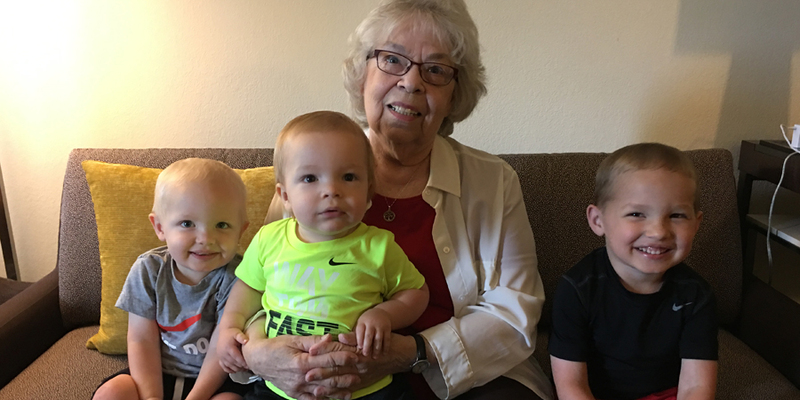 I know this is an obvious statement, but great-grandchildren are such a joy. In them I see hope for the future because they are so brilliant. My three treasures are Noah, 4 years old, Caleb, 2, and Quade, 14 months. Since our rooms were on the second floor, Noah and Caleb took turns (sort of) pushing the “door open” button in the elevator until we could all load on . . . which sometimes took a minute or two. They did pretty well sharing this responsibility, though sometimes Noah felt compelled to “help” his little brother, even when Caleb clearly did not want any assistance. Three days sped by quickly and too soon it was time to leave. The older boys and their parents left first, having the longest trip home. We waved goodbye from the parking lot and rang for the elevator. Back to our rooms to finish packing. We entered the lift, little Quade’s mother holding him on her arm. Suddenly his eyes lit up. Finally, it was his turn to push the button! Except that … the only button he could reach was the one with the exclamation point on it. Well, he tried, but he wasn’t able to push it in far enough to make a connection. But the dance performed by all the adults present must have been a sight to behold. I wonder if there is a security camera in that elevator. One day last week, a can of Spam appeared on my front steps. Was it just another of the items occasionally found in my yard — soda cans, candy wrappers, vodka bottles? I do, after all, live on a corner lot, seen by many as an approved depository for anything they no longer want in their car. I really don’t know, but made curious by the unusual gift, I decided to find out more about this product, which was developed by the Hormel company in 1937, but became more widely used during WWII when fresh meat was rationed. This mystery mix was similar to the ‘pork luncheon meat’ included in K-Rations for paratroopers. Comedians had a field day joking about how well we were feeding our military. Spam (euphemistically short for ‘spiced ham’) contains only six ingredients: pork with ham, salt, water, potato starch, sugar, and sodium nitrite (a preservative not to be confused with sodium nitrAte, which is something else entirely). The listing ‘pork with ham’ adheres to an FDA ruling that labels must list the most first. Thus, other parts of the pig with a little bit of ham added is the base ingredient of Spam. 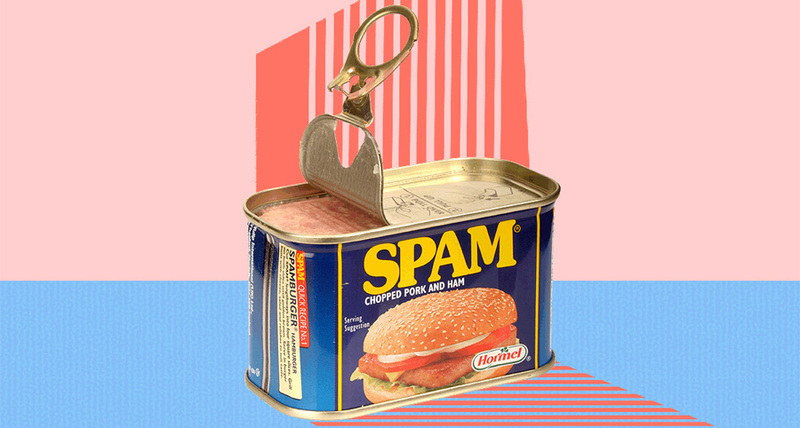 During my valuable research I came across SPAM.com where I found several recipes: Spam fries, Spamburger, Fried Nice, Cheesy Mac with Spam chunks, and Musubi. Musubi is a Hawaiian dish made of rice and Spam molded in a press and wrapped in nori (which is seaweed). Talk about a pig in a blanket . . .
Now, I’m still not too sure what to do with the bounty that came to me through someone’s goodness, carelessness, or amusement. Perhaps give it a place of honor to remember my childhood in the Forties, when fried Spam might be part of the daily fare, with okra and tomatoes from the Victory Garden.